Successfully Bring Home the Bacon and Raise Happy Kids! 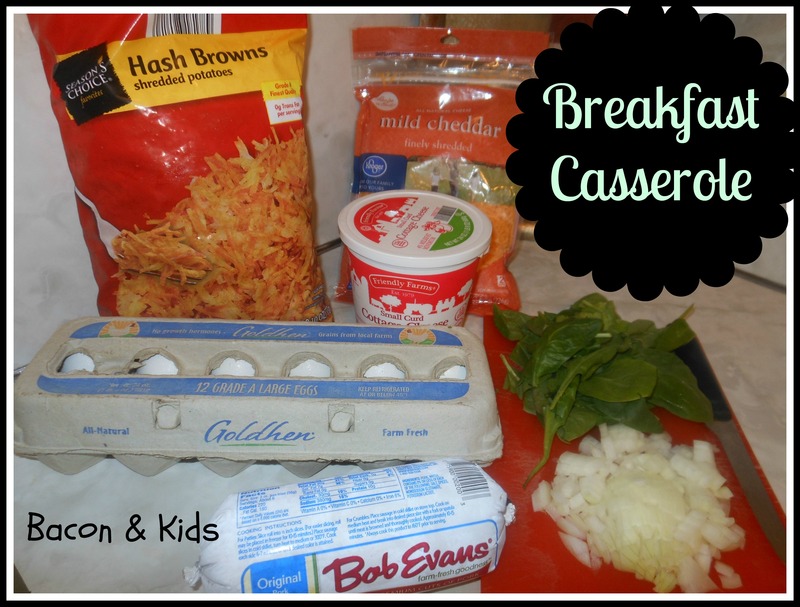 The recipe I’m sharing is for a delicious and very easy to make breakfast casserole. This can be prepared the night before and cooked in the morning. You can easily freeze smaller portions to reheat at a later date. Add the onion & pepper and cook for a minute or so. Mix the Eggs & Cheeses together, then add the sausage/pepper mixture to bowl. Layer the baking dish (up the sides too) with the hash browns & melted butter. Pour the egg mixture on top of the potatoes. Put in the oven on 350 uncovered for 1 hour. Or if you’re preparing it the night before, cover and put in the refrigerator and cook in the morning. Hot out of the Oven. Mmmm! I had a recipe for Italian Chicken pinned on Pinterest for quite some time that I wanted to try. I finally made it for dinner the other night. Although, in true Betty fashion I did not follow the recipe exactly as directed. I embellished it just a bit if you will. Put all the vegetables in a bowl, sprinkle some olive oil and about 1 tablespoon of flour – mix together. Add vegetables and chicken to 9×13 dish. Cook uncovered in the oven on 350 for about 30 minutes. I can’t remember exactly how long it was in there but you want to pull the chicken out just before it is done and add lots of mozzarella on top. Put back in the oven, I turned to broil for just a couple of minutes. Take out of oven and add fresh basil to the top. The chicken was juicy & delicious!! It was very easy & quick to make!! Some garlic bread would have been a nice addition to the meal but we are trying to stay away from breads/carbs. This dish would also be great over some pasta or with parmesan/herb mashed potatoes if your heart(tummy) so desires. 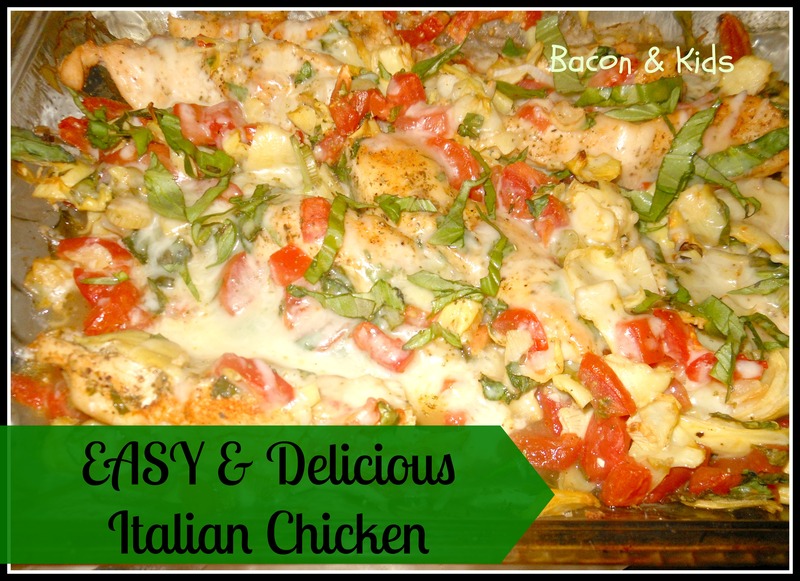 Happy Italian Chicken Baking to you!! P.S. Please stop by and say hello on Facebook, Twitter, Pinterest and feel free to subscribe to my blog! ~Thank you so much!! I was arranging fruit on a platter for a gathering and I was thinking about how messy the platter will look once people start picking at it so I decided instead to stack the fruit on a toothpick. It took very little time to put together. I had grapes, strawberries, raspberries and blueberries but you can easily use any fruit you have on hand. Arrange them on a serving dish with a bowl of fruit dip. 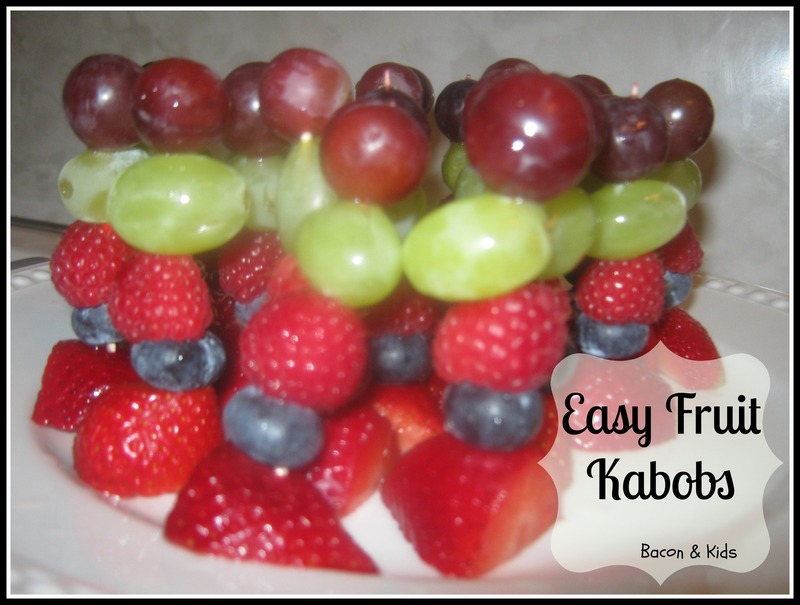 Quick & pretty fruit appetizer. 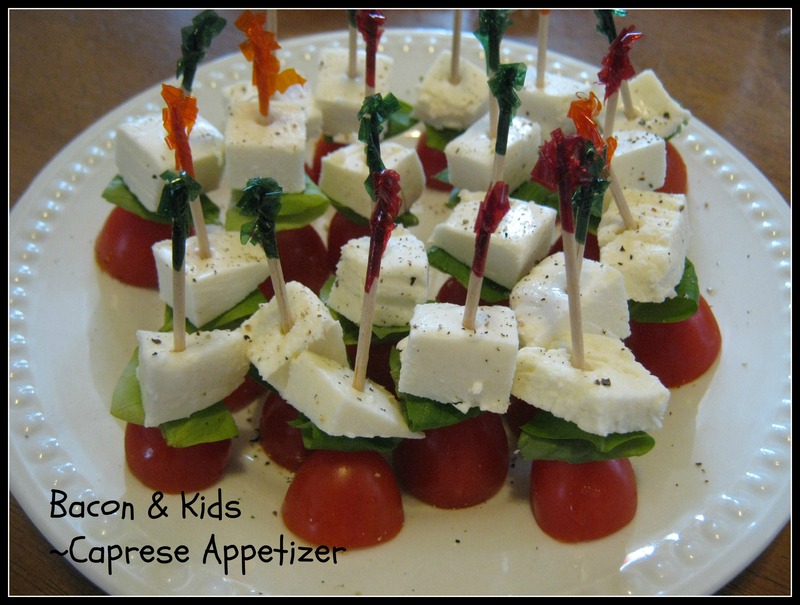 Don’t wait for a party to make these, they make the perfect after school snack for your kids. Happy Fruit Kabob Making to you! When I think of cabbage soup I think of diet food. Not a fan. So why did I make it? Well, I had some cabbage in the fridge and left over spiral ham and wanted to use them up. 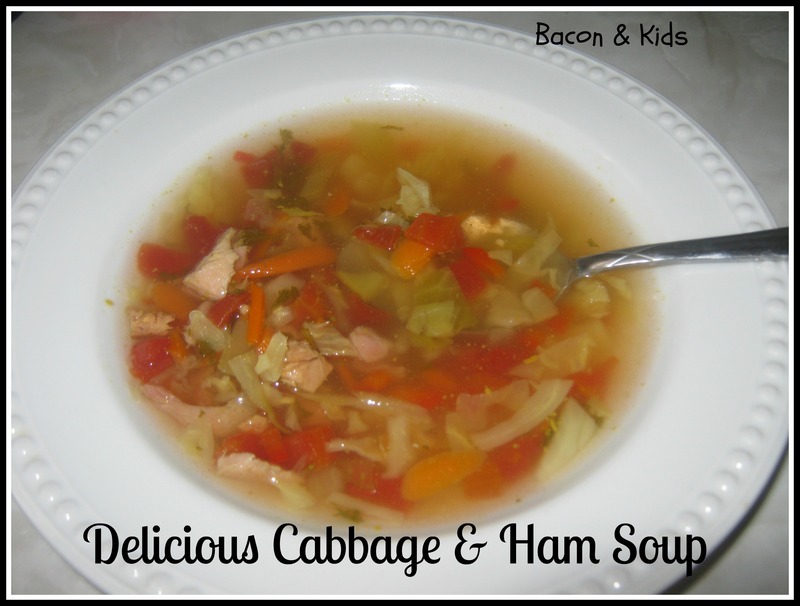 I love making soups so I thought why not make a big pot of Cabbage & Ham soup? I didn’t have a recipe for the soup but I figured I could make something up. Add veggies, water & seasoning to cooking pot. Cook for a few hours or until veggies are tender. I added the ham about half way through cook time. 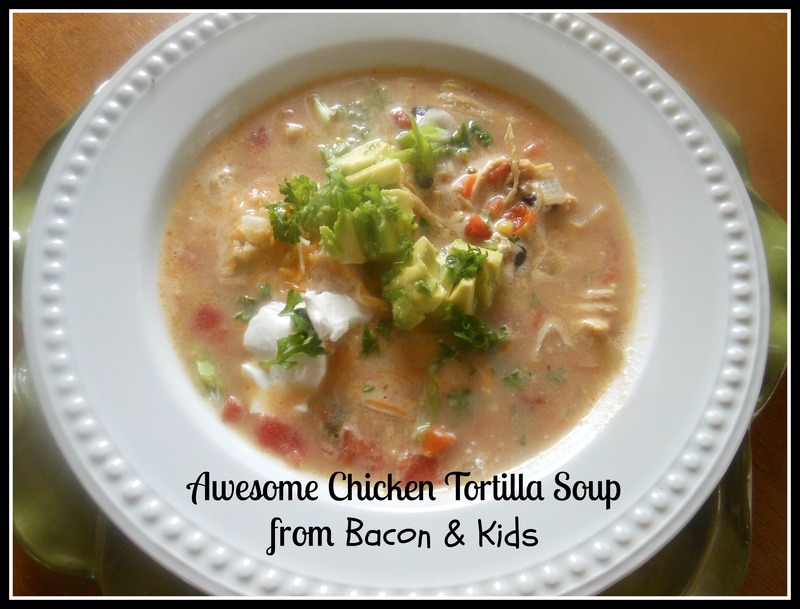 Loaded with healthy goodness, this soup turned out very well! 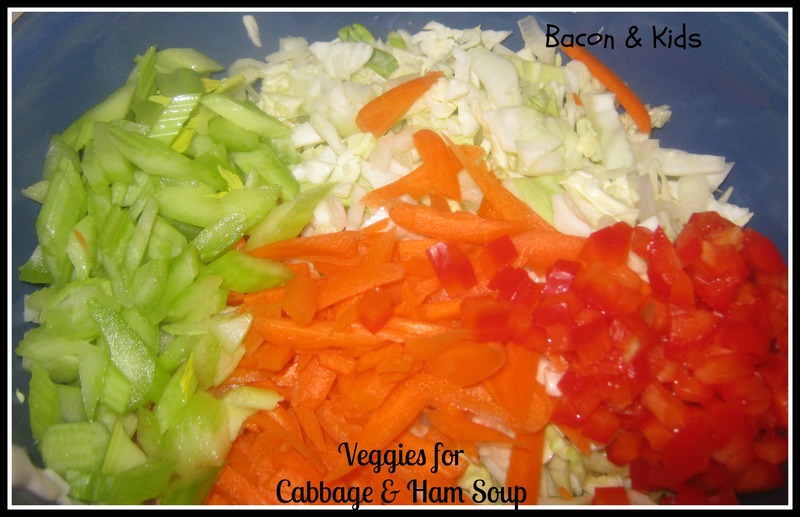 Happy Cabbage & Ham Soup Making to you! I love potatoes! Mashed, Baked, Fried, doesn’t matter – I never tire of eating them. 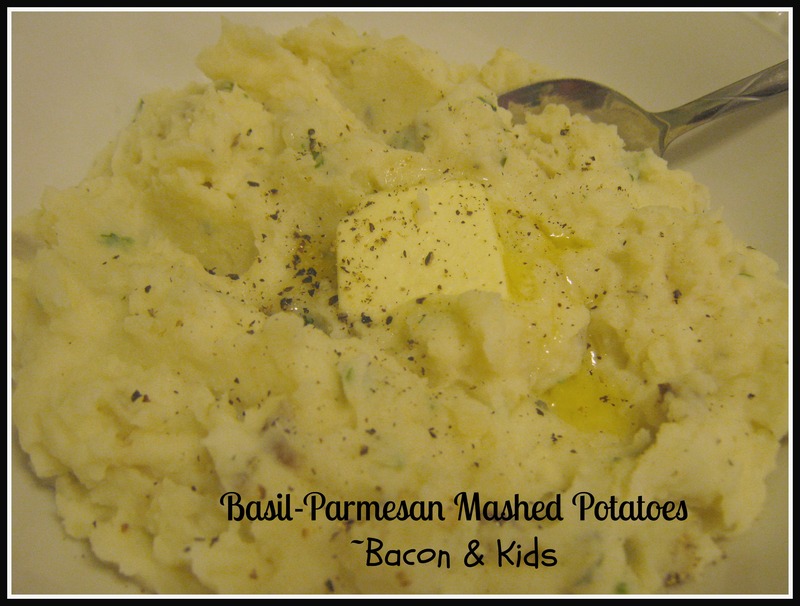 My Basil-Parmesan Mashed Potatoes are a lovely accompaniment to any meal. The last time I made them I froze the left overs and later added them to my loaded potato soup. Yum! First, boil potatoes until tender and drain the water. I like a hearty mashed potato, so I use a hand- masher (real name?). I didn’t include exact measurements for the milk, butter & cheese because it depends on how many potatoes you cooked. I just add the ingredients until the texture is what I want. Full of delicious flavor! No gravy needed for these potatoes. Please visit us on Pinterest, Facebook & Twitter too! 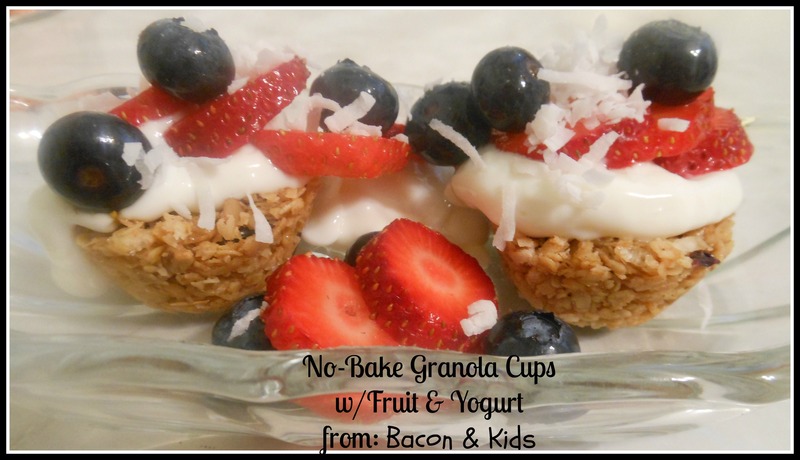 Here is a great granola recipe that can be eaten just as a snack alone or with yogurt and fruit for a delicious yogurt parfait! In a large bowl, stir oats and rice cereal, cinnamon, coconut, sunflower seeds & cranberries together. In a small pan, melt butter, brown sugar and agave together over medium high heat until it starts to bubble. Reduce the heat and cook 2 minutes. Add vanilla & peanut butter and stir. Pour over dry ingredients and mix well to moisten all ingredients. Firmly press down granola into lightly greased mini muffin pan. Or you can use full size muffin pan and press down to make in to a cup shape. This is a no bake recipe but I did put them in the oven for just a few minutes – oven temp about 250. There was some granola left over in the bowl so I lightly greased a cookie sheet and spread an even layer of granola on it and baked it for just a few minutes to make a crunchy granola. This makes for a delicious snack. So many flavors and healthy ingredients to experiment with. It’s also very quick and easy to make. Happy Granola making to you! 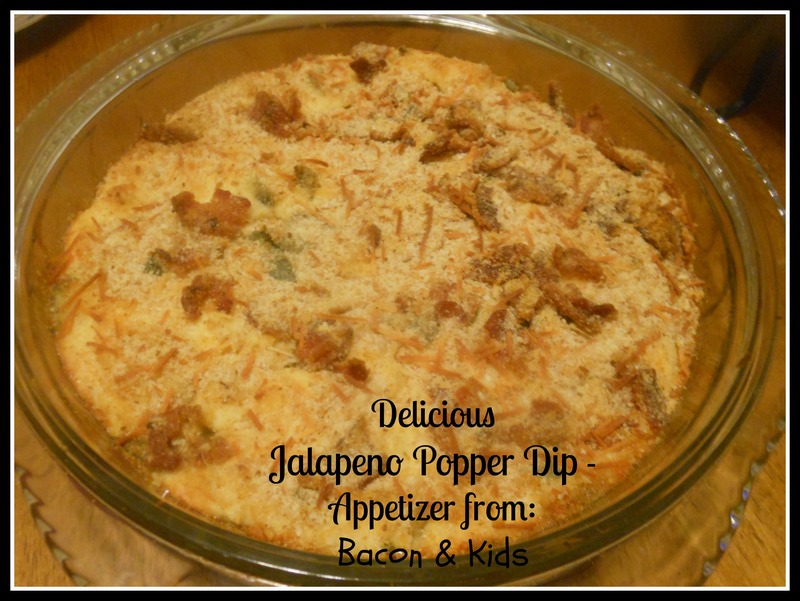 I made this Jalapeno Popper Dip for a party and it was devoured in a matter of minutes. Very easy to make! And, oh so delicious! Loaded w/cheesy, pepper goodness! And bacon! Roast the peppers in the oven on a cookie sheet for a few minutes. Mix all the cheeses, sour cream, mayo, ranch seasoning & onion together. Chop peppers and add to cheese mixture. 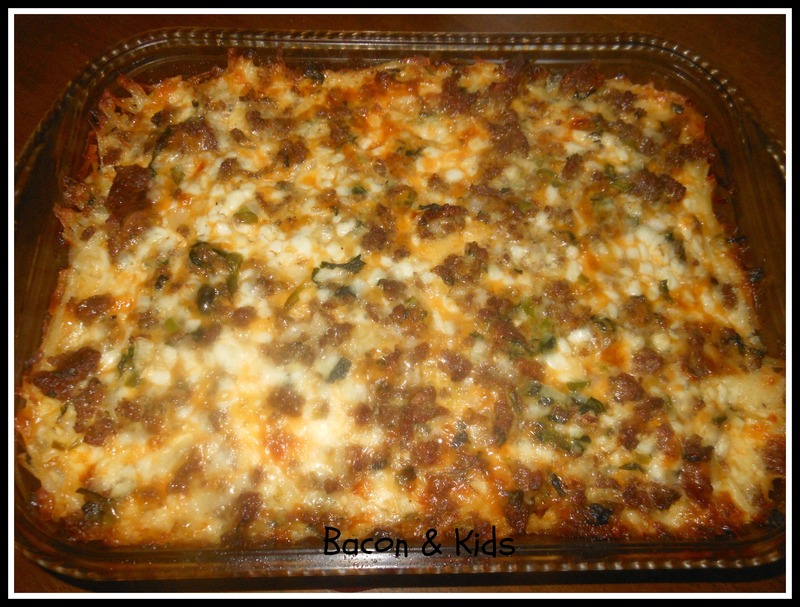 Mix together the bread crumbs, crumbled bacon & parmesan and layer on top of the cheese mixture. Put in the oven on 350 for about 20 minutes….or until bubbly. Serve with Tortilla Chips and or Ritz crackers. Seriously folks, this is so yummy!! I will double the recipe when I make this for our Superbowl Party. I tried to take pictures of the dip but everyone was dipping into it so fast that the above photo was all I could get. Please take a minute and share with us what you thought of the recipe. We would also love for you to stop by and say hello to us on Facebook, Twitter & Pinterest. ~ Thank you! 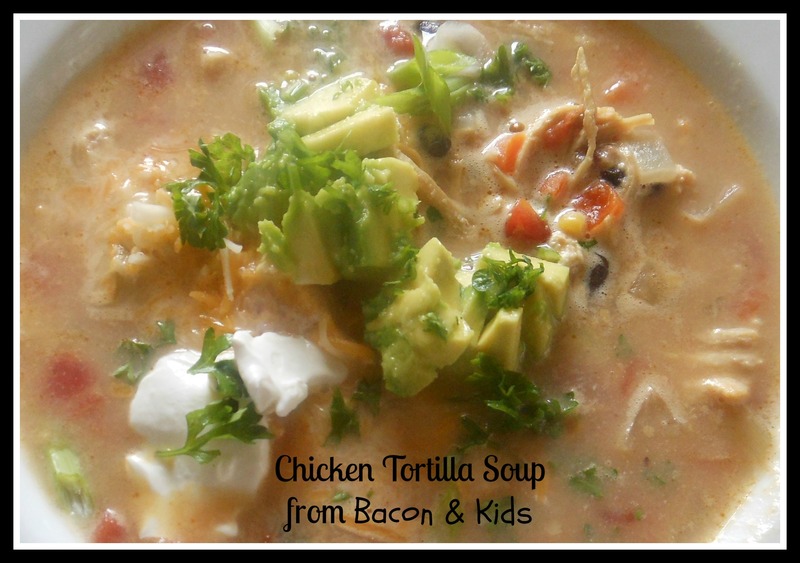 This is one of our favorite soups and seems to taste better each time I make it. The problem is, I make it different every time. After having several people ask for the recipe, yesterday I thought to write down a “recipe” for it as I prepared it. Boiled chicken breast in 2 cups of water. I added some garlic, chicken bouillon, bay leaf, cumin & salt & pepper. While the chicken is cooking I put all the veggies in a pot with water & bouillon and simmer. Once the chicken is cooked, shred it and add to the pot w/the veggies along with the broth you cooked the chicken in. Add the cheeses and lime juice. This recipe makes a lot of soup but you can freeze any leftovers or share with a friend or two. I tend to always make extras as I like to have some ready to share with friends. Oh and there are lots of short cut possibilities w/this soup. Use a rotisserie chicken and or add a jar of salsa to the broth instead of chopping all the veggies. I hope that you enjoy the recipe. Let me know! Happy Chicken Tortilla Soup making to you! P.S. Please visit Bacon and Kids on Facebook, Twitter & Pinterest. What to do with left over Tonic Water and Limes? The party was a success! But, what will you do with the left over wine, tonic & fruit? It doesn’t happen very often but once in a while you end up with left overs. I was dumping out quarter full bottles of tonic and hated being wasteful. Saving it in the bottle is useless because it goes flat too fast. So I decided to make tonic ice cubes for future use instead of just dumping it down the sink. Turns out, it was a super idea! 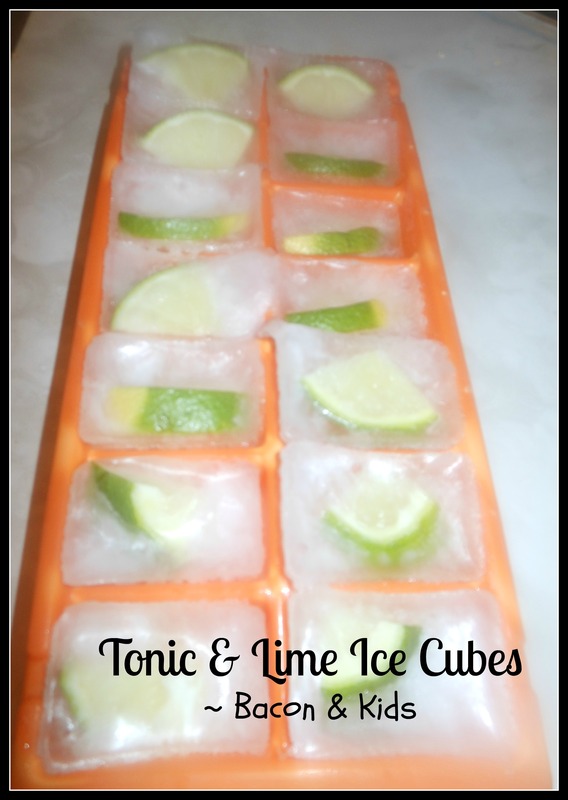 The next time we had a party, I was able to make Gin & Tonics w/tonic-lime ice cubes. No more watered down drinks. Sweet! 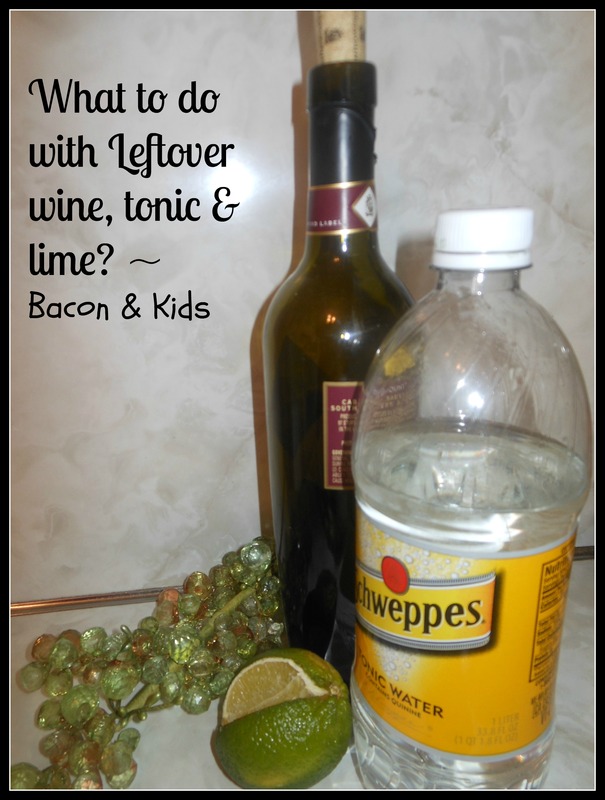 Or if you prefer, you can use tonic water to preserve plants and flowers. Simply mix one part tonic water with two parts water to keep your blooms fresh longer. What about any left over fruit you may have cut up to be used as a garnish? 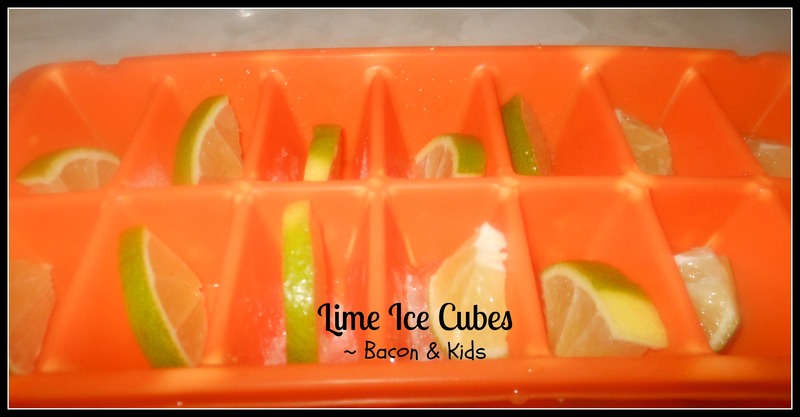 If you have left over oranges, limes and or lemons, take the fruit and add to ice cube trays w/water. Once frozen, I transfer the cubes to freezer storage bags so as not to use up all my ice cube trays. These fruit ice cubes are the perfect addition to a glass of water! Love my lemon water in the morning! And sometimes there may even be wine left over, you can freeze in to cubes as well to be used at another time. For some great uses for leftover wine ideas visit Real Simple . Just wanted to share these ideas with you. Would love to hear your ideas for left over wine, tonic & or fruit. P.S. Please stop by and say hello to us on Facebook, Twitter & Pinterest! Feel free to tell all your friends and family about Bacon & Kids too 😀 ~ Thank you!! 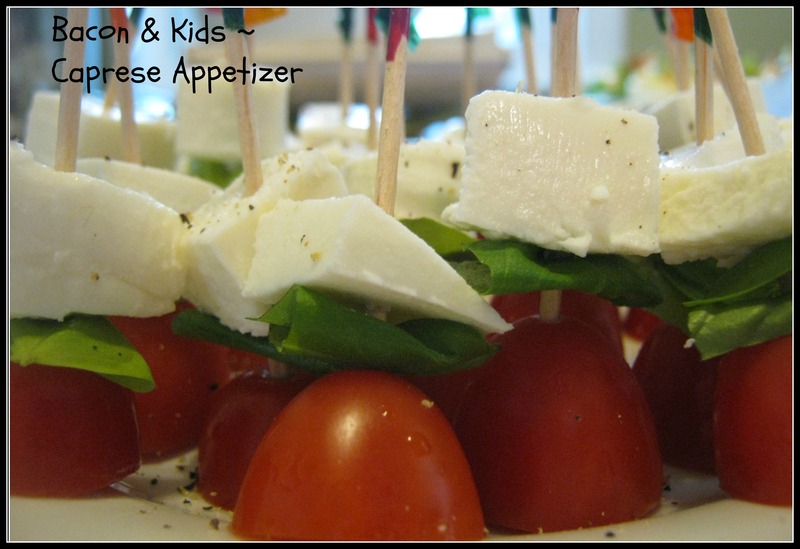 Simply put the cheese, tomato & basil on the toothpicks. I drizzle with balsamic and add a little salt & pepper. 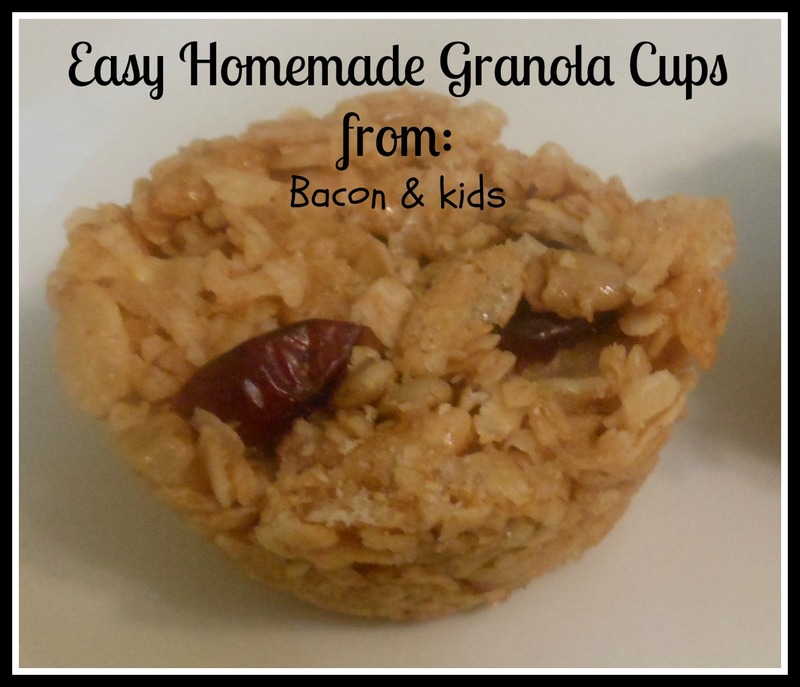 They are always a hit and so easy to make. 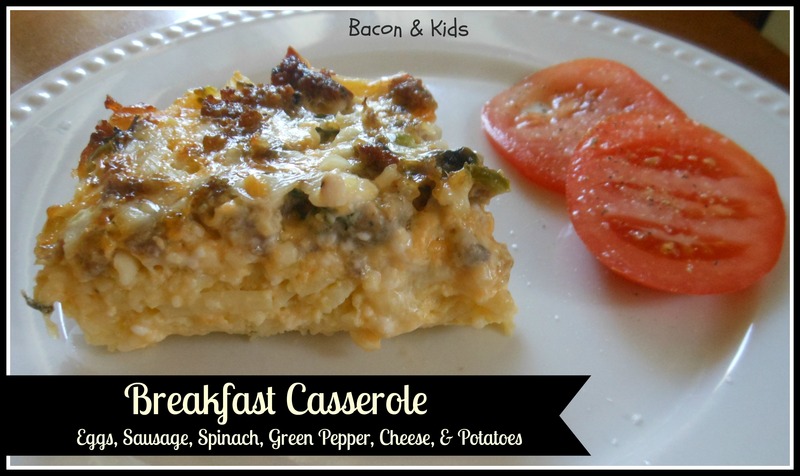 Bacon & Kids is on Pinterest!